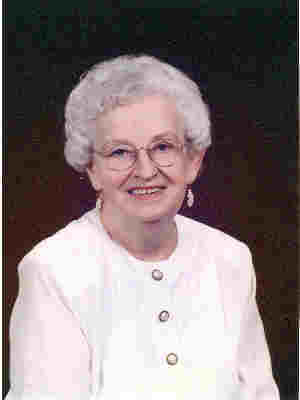 Elaine M. Auger, age 85 of Faribault, died on Monday, June 11, 2007, at Infinia of Faribault. Memorial services will be held at the House of Hope Presbyterian Church, 797 Summit Ave., St. Paul on Thursday, June 21, 2007 at 11 a.m. with the Reverend Darlene Auger Stensby, officiating. Private interment will be in Lakewood Cemetery, Minneapolis. Memorials may be directed to Alzheimer’s research or Peace Lutheran Church, Faribault. Elaine Mae, the daughter of C. Elmer (and Pauline Petterson) Skoog was born on May 17, 1922 in Minneapolis. She attended the University of Minnesota following graduation from high school. She married Reuben A. Auger on May 29, 1941 and he preceded her in death in 1998. She is survived by one daughter Darlene Auger (and Kenneth) Stensby of Edina; one son, Terry Reuben (and Wanda) Auger of Burnsville; six grandchildren, Carole (and Max) Eng, Randy (and Tammy) Auger, Heidi (and Sooze Hickman) Stensby, Angel (and Todd Bulera) Stensby, Melissa Annen and Brett Auger; ten great grandchildren; one great great grandson; nieces; nephews; and other relatives and friends. She was preceded in death by her husband, Reuben; her parents; one son Gary Auger; one grand daughter, Robin Stensby; and one sister, Virginia Swenson. Elaine loved life, especially the beauties of creation and the joy in her relationships with family and friends. She took delight in simple things and taught others, by example, to do the same. She will be missed.